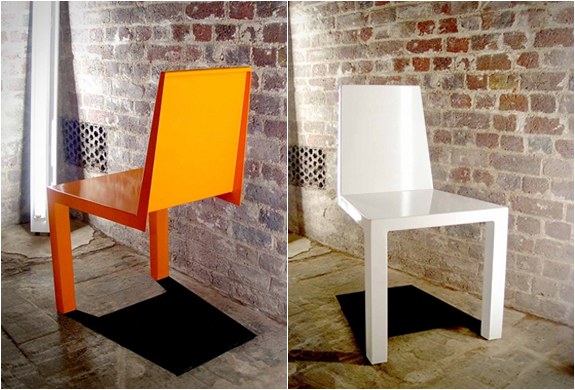 This modern chair design is a fantastic illusion. 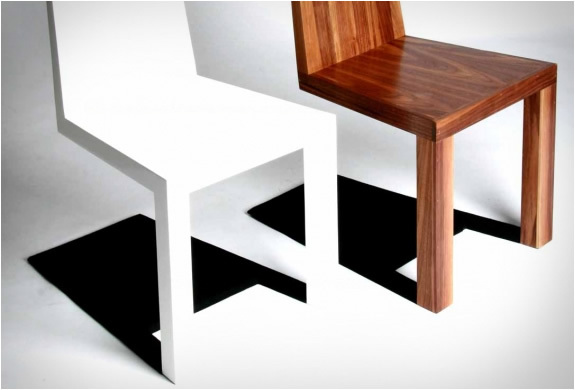 Created by Duffy London, these unique chairs look like they are standing on two legs, creating a fascinating shadow. 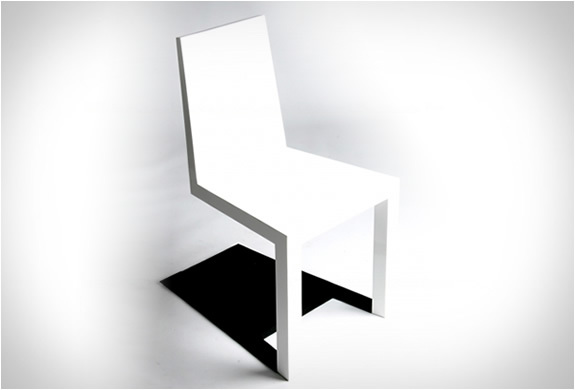 In fact, the shadow is part of the chair, representing a clever design, at its finest. 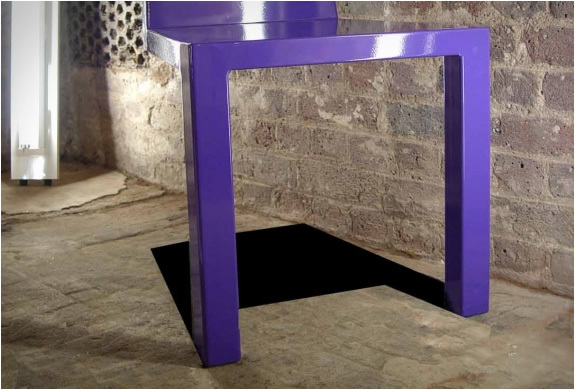 The unique chairs are made out of ethically sourced, powder coated mild steel. They are eighty five centimeters high, forty five centimeters wide, and have a depth of sixty centimeters. Sharp corners, angles, and clean lines make up this chair design. The sides of the chair, create a wonderful zig-zag, inviting the eye to follow along. The legs of the chair are simple and elegant, and identically and symmetrically fashioned. Available in a wide array of colors, these chairs fit right in with bright, neutral, and dark decor. 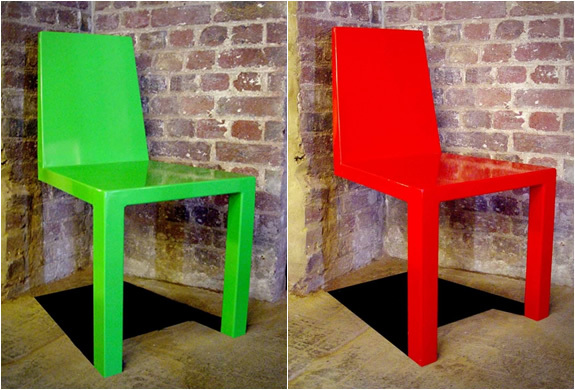 The unique chairs come in, bright white, tangerine, a gorgeous warm wood, lime green, glossy scarlet red, and indigo. These chairs would be fantastic around a dining room table, or in a sitting room. Imagine this clever chair design around a simple farmhouse table, adding a modern touch and a pop of color. In the sitting room, a small table sits in between the intriguing chairs, with white walls surrounding them. A simple and elegant vase sits on the table, complimenting the room. It is beautiful and unaffected, keeping the focus on the wonderful illusion created by these unique chairs. Adding fun and playfulness to home design is easily done with these unique chairs. At the very least, they are a conversation starter at a dinner party. But, in reality, they are much more than that. 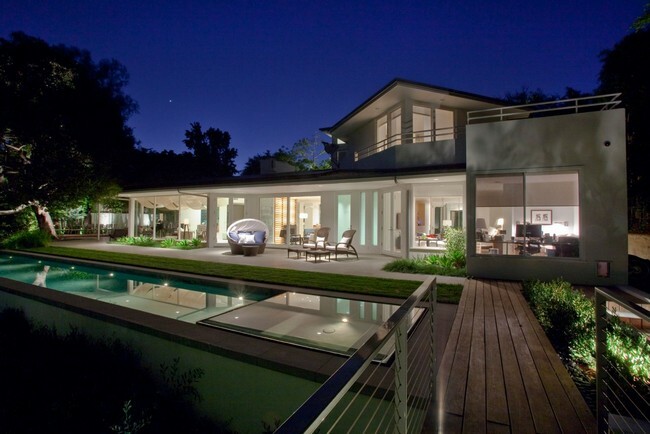 They are imagination, regalement, and beauty, all wrapped into an amazingly clever design.